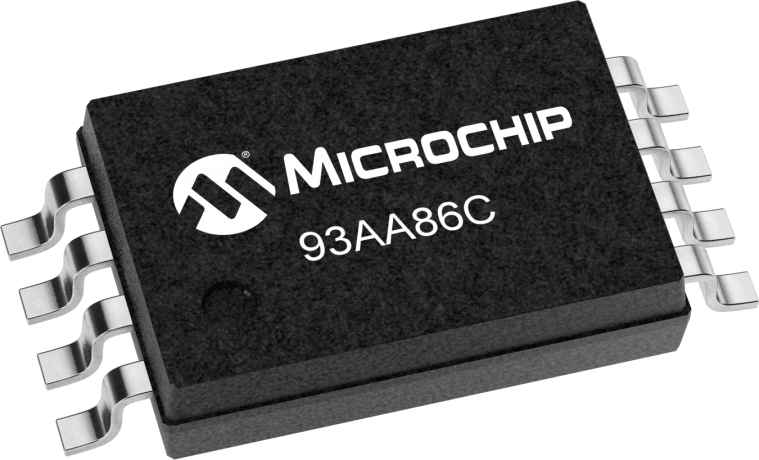 The Microchip 93AA86C device is a 16Kb Microwire (3-wire) Serial EEPROM with hardware selectable word size using the ORG pin and a voltage operation range of 1.8 - 5.5V. Also available are the 93AA86A for dedicated 8-bit memory organization and the 93AA86B for dedicated 16-bit memory organization. The 93AA86C is optimized for use in consumer, industrial, and automotive applications where reliable and dependable nonvolatile memory storage is essential. The device is available in a variety of Pb-free packages including PDIP, SOIC, MSOP, DFN and TSSOP.